Book DescriptionNew opening ideas are created frequently, but few have had the meteoric career of Nigel Short's system against the Caro-Kann defense. Virtually unknown before 1988, it has become a regular customer in super tournaments since the 1990's. And yet it is so simple to handle that a Class B player can master most of the strategies in an afternoon. 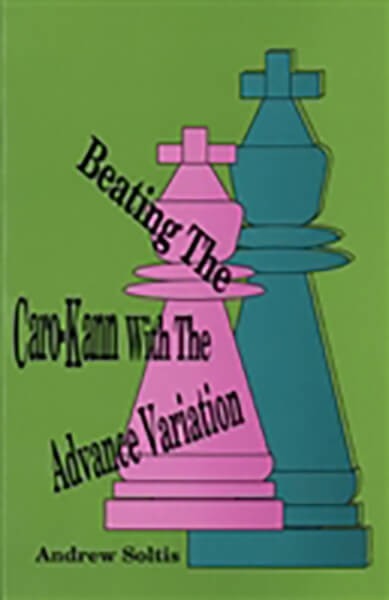 The British GM's system consists of playing the Advance variation of the Caro-Kann with a relatively modest form of development- modest yet it can pack quite a wallop. What short discovered was not just a new move, but a new concept. Despite the presence of the annoying bishop on the excellent b1-h7 diagonal, Black had not equalized, he announced. Short demonstrated that the bishop could, in fact, become a liability that would be attacked in the general expansion of white's pawns on the kingside. 1.e4 c6 2.d4 d5 3.e5 Bf5(as well as 3..c5 and 3..Na6)-new strategy against each one.